A storyboard is a demonstration of how a video or a story will look like. This represents and helps to visualize what will happen in the story because it is broken down into scenes shot by shot. Usually, these are used by people who work for movies, series, and other forms of productions. It can either be in digital or hard copy form. Each scene in a storyboard is usually represented with a square and brief details about how each one will be played out. These Storyboard Samples presented here can help you lay down the vital scenes of your story to make it easy for you to capture each scene of your story the way you want it. The thought of making storyboards seems like an extra step when it comes to producing your videos. But do not underestimate a storyboard. It can help you save time and money when you start producing your videos. Here are a few reasons why using storyboards are vital before you actually start producing your videos. You can gauge whether the concept of your story will work out. You will have an idea if the details pertaining to a certain scene will flow accordingly with the story. When it comes to editing the videos, it will serve as your ultimate guide as you will know the order of the scenes. You can have an estimate of the possible budget because you know what materials you will need to provide for each scene. Errors can be determined before the production. You can determine which part of the scenes punchlines can be inserted. 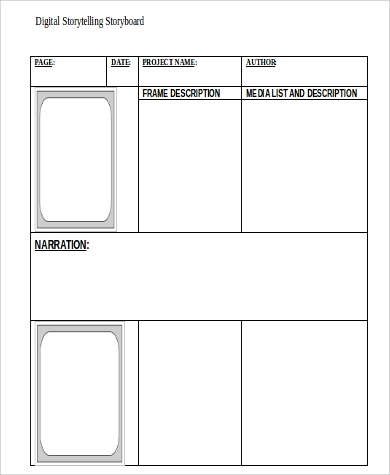 The storyboard will serve as your checklist wherein you can track down, which you can share with your team in order to avoid missing out on any important scene. Given that you drafted your storyboard excellently, it will not be hard for anyone to understand what the goal for each scene is. 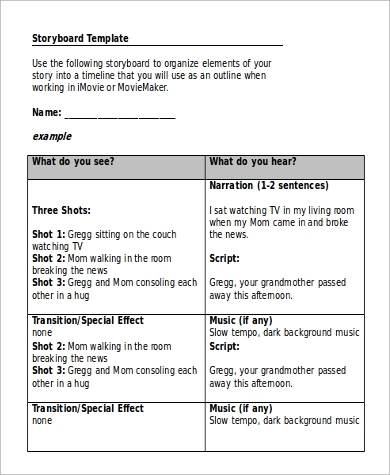 You can also check out Story Outline Samples to help you lay out the scenes before you start producing your storyboard. 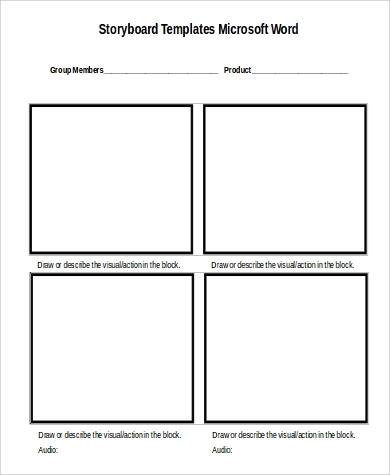 Creating a storyboard is a step-by-step process. 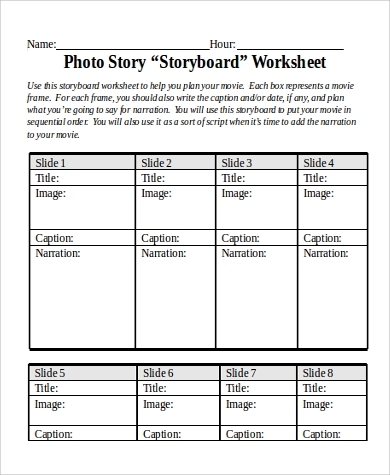 Here’s how you can start creating your own storyboard. You can start out by drawing a series of square or download the Free Storyboard Samples in this article by clicking the green Download button. Draw the scene in each box and write down a brief description of the scene. Note all the important things needed for the scene to work such as lighting, the materials and props, and camera angles. 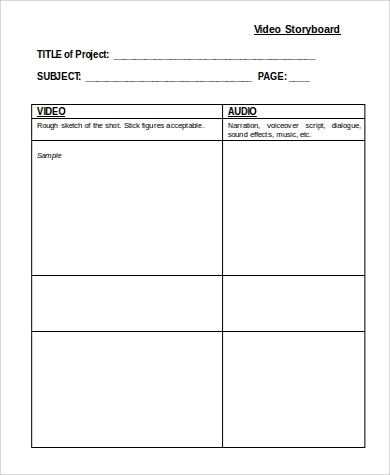 Anyone who needs to conclude a video or story project can make use of a storyboard. Creating one from scratch can be time-consuming and tedious. 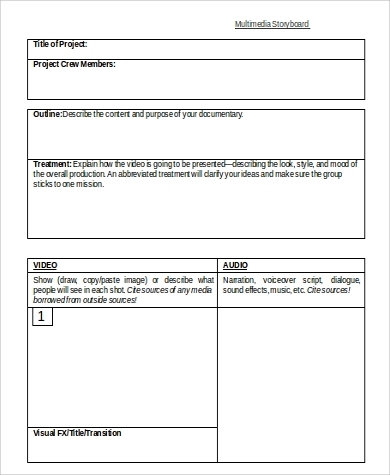 By using storyboard sample templates, you can cut your time shorter since all you need to do is to fill out the templates with the scenes for your video or your story. With storyboards, you can track the progress of your project and complete your task in an organized manner. 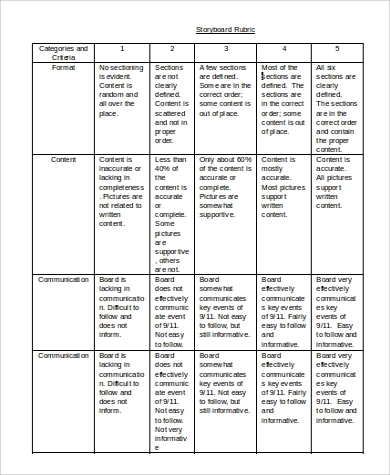 The templates on this website are mostly in Word Document (.doc) format so they can be edited with ease and save it as a digital copy. 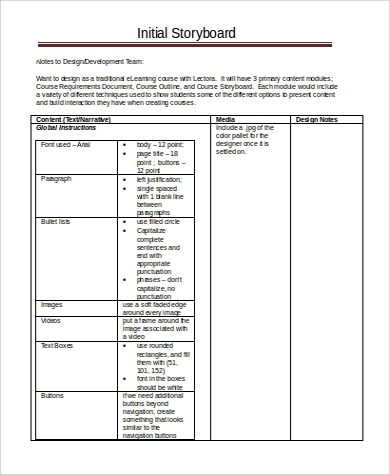 You may also opt to print out the document and manually draw your scenes on the templates.